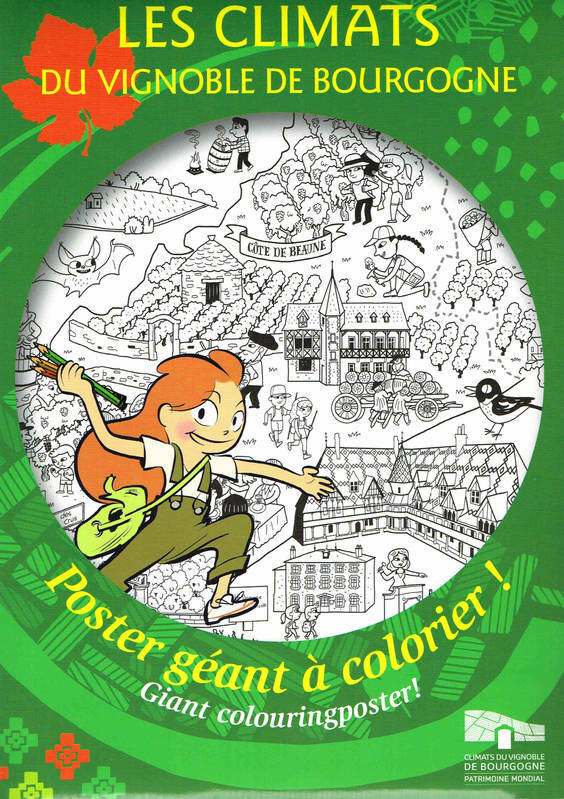 Poster géant à colorier / Giant colouring poster! LES CLIMATS, C'EST QUOI ? Grâce à ce coloriage, pars à la découverte de ce site exceptionnel ! The Climats, Terroirs of Burgundy form a mosaic of 1247 vine parcels which, for centuries, has composed the Burgundy winegrowing region and makes it the only site and landscape of its kind in the world, nowadays inscribed on the UNESCO World Heritage List!